In the hierarchy of deliciousness, avocado sits high on that list. In my world, a good avocado can make or break a dish. I’m that guy who’s hitting up several stores to find a nice and ripe avocado – especially – if I’m going to be using said avocado that same day. I can get a little obsessed – I’m a little crazy sometimes. Of Note: If you have (homemade or storebought) salsa verde on hand (as I often do) you can make this by simply blending the salsa verde with avocado. Use about 1 avocado for every 3/4 cup of salsa verde – just adjust salt and add a squeeze of lime if you’d like. Happy Cooking! 4. 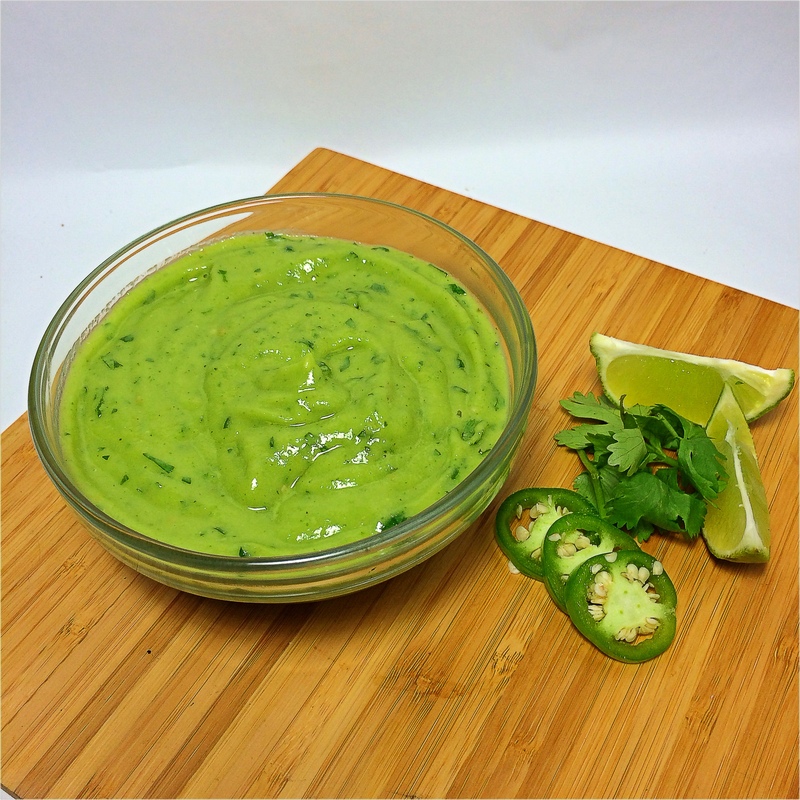 In a Blender add your cooked tomatillos, (pitted and scooped out) avocado(s), jalapeno(s) onion, garlic, cilantro and a pinch of salt.